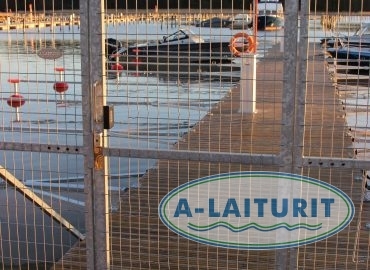 The 4.7m x 2.2m security gate for marinas is appealing and functional, keeping unauthorized persons away from the dock. 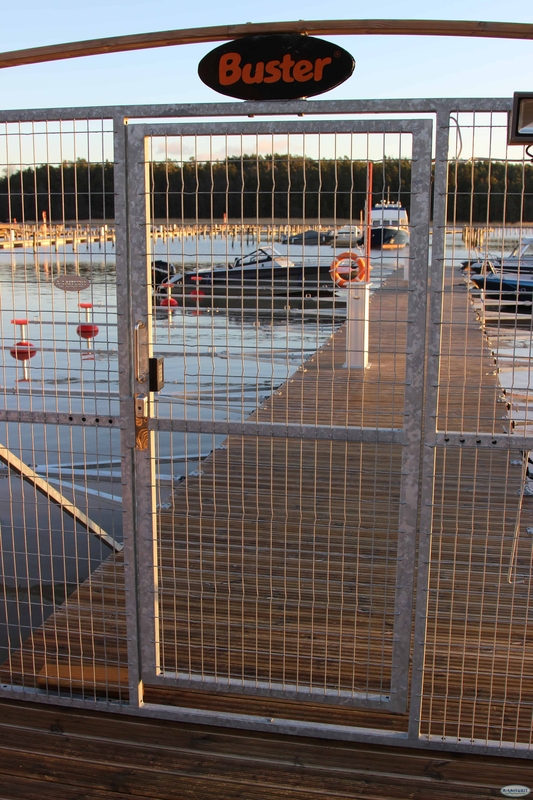 The gate is  depending on circumstances of location  attached to the ground anchor, gangway or at the head of the dock. 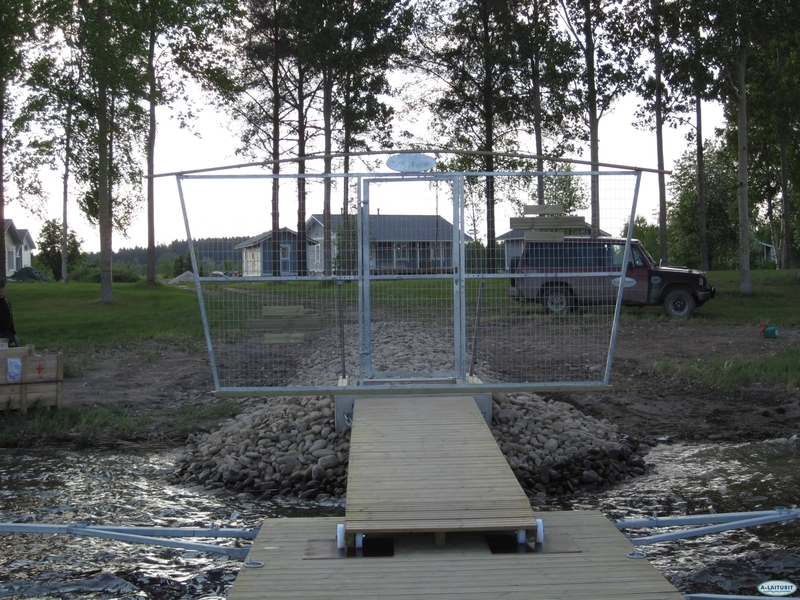 The possibilities for fastening the gate to structures of different width have been taken into consideration in the construction of the gate. 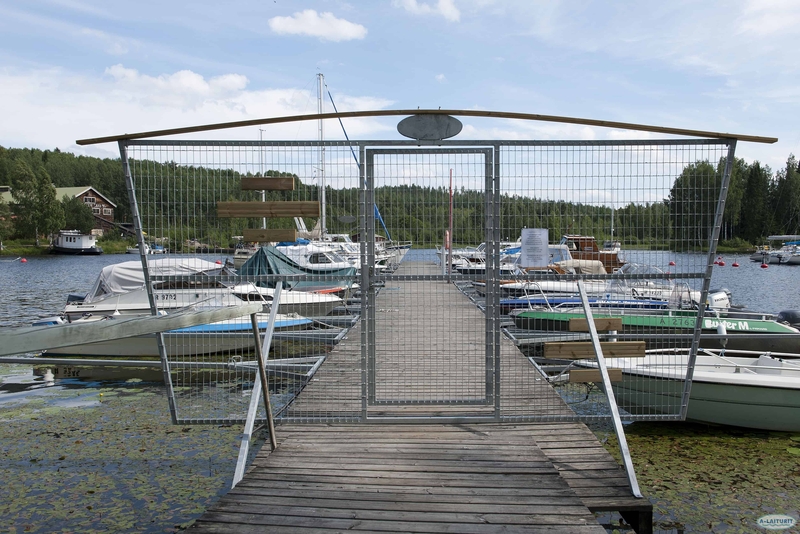 The sign above the gate allows for attaching light fixtures or the docks personal signature sign. 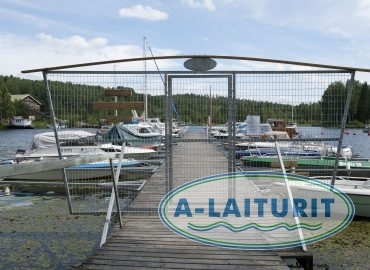 The marina gate is manufactured from hot galvanised steel while the ornamental components are of pressure-impregnated wood. 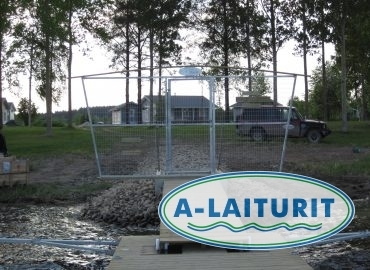 The lock is not included.